Are You Settling For Better? Do you want to know the secret to getting the best in life?!? You have to pass up better. Simple enough right? Seems like a simple enough concept, you are probably thinking I can do that. But trust me it is harder than what it seems. If you are anything like me you have been through your fair share of ups and downs. So much so that when something decent comes around you jump on it. Rather it be a relationship, job, or just any opportunity. Because something is better than nothing right? Wrong. God did not create you and give you a purpose on Earth to settle for anything mediocre. He desires for you have to the absolute best. His best. But to get to that best we have to not settle. This reminds of the story Goldilocks and the Three Bears. She did not settle when the first two porridges or beds weren’t the best for her. She kept seeking and she got the best. That should be all of our mentality when it comes to every opportunity in life. Say this with me: I was not created to settle. Now I challenge you to say that everyday until you truly believe it. Settling is a choice you make when you don’t either trust God will fulfill His promise to you or that you don’t deserve God’s best. Both of those are lies from the enemy. God will always fulfill His promises, the question is do you have the patience and discipline to wait on Him? And to be honest none of us deserve the goodness that God shows us because we all fall short, but that is why we are thankful for his grace and mercy. God sees us as his children and will always give us the best gifts. God will fulfill his promises for you! But are you ready to pass up better to get His best? Sitting here writing this is surreal. They say a lot can happen in a year and my life was totally wrecked this past year. August 12, 2017 I was sitting in a hotel room with the guy I was currently dating after attending one of my favorite artist concerts. I should have been on a high from all the excitement of the night but as I laid there I was fighting an internal battle. For the millionth time in the last several months I was asking myself what was I doing? This is not the life I imagined for myself. At 26 I wanted to be married and about to have my second child. The second child was an option but marriage, or even a committed relationship was nowhere in sight. Was I wasting my time with this guy? Or should I give him more time to see I was the one? I was honestly tired of the internal battle I had been dealing with. I knew God, but like Bey and Jay I was on the run from having a real relationship with God. I knew something had to change. But how? I was so desperate. I remember silently crying out to God to just show me how to get the life I knew he had for me. God had never spoke so clearly to me. I knew I had to drop everything that was my comfort and have a real relationship with him. I was just like Peter, I dropped my fishing net and followed Jesus. I had so much peace about it. I knew this was the only way I could have the life God had for me and I never looked back. During this last year God has taken a broken, insecure girl and molded me into the confident woman I am today. I know God is still working on me but He has already brought me so far. The things I desired were given to me in ways that were better than I could imagine. God showered me with so much love and truly aligned me to encounter different people and ministries at the perfect time. Putting down my ways and truly following Jesus with all my heart has been the best decision I have ever made. God has provided me friends for life, an amazing mentor, and so much peace. This journey has not always been easy, walking outside of your comfort zone never is, but I would not change one thing about it. On August 12, 2017 I changed the entire trajectory of my life. I surrendered my life to Christ. So God Told Me No…What Do I Do? I pray to God for inspiration each week before deciding on what to write about. And every week He allows the flood gates to open up on me. Like pour down. So remember the ex from last week that I saw on a date. Well he admitted since that last conversation that the girl he was with was actually his girlfriend. Imagine my surprise. I was about to be a side chick and didn’t even know it 🤦🏽‍♀️. So as I sat there reading the message that my ex sent over and over I realized God protected me. God knew what the future held doing it my way and he put up a road block. This was the answer to the prayer I had been praying for almost 3 years. “God show me if he is the one.” I can’t count how many times God answered that prayer and I always refused to accept his answer. In all honestly I just wanted God to answer the way I wanted which was “yes and now go run off and get married!” Dramatic I know. But who doesn’t want to get their way? I know I do. This time I had no choice. I had to let this situation go, for good. No more trying to be friends, which was just a way for both us to try and hang on to the other. In that moment I had to be honest with myself and answer “What am I holding on to?” I was holding on to the familiarity of him. The fact that I knew what his flaws were and I was okay with living with them. And to be 100% honest I questioned if anyone else would want me and make me feel like he did. As a single mom, sometimes you question your desirability with so many people walking around screaming they don’t want someone with a child. So now what do I do? God has told me no in big red neon letters this time. How do you handle the answer to your prayer being no? First, you have to trust God. Know God has your best interest at heart, even when you don’t. I don’t know about you but I’ve had made some decisions knowing it wasn’t the best. I cared about how I felt in the moment not necessarily thinking about how it will effect my future. Second, be honest with God about your frustration with him telling you no. God cares about you and wants to build a relationship with you. This means he wants you to tell him when you are upset and frustrated, even with Him. It feels good to release your feelings onto God. He will always be there to comfort you. His word tells us to cast our cares on to him. So do just that and you might be surprised about what he says back. Lastly, change your mindset from God took this from me to God has better for me. God wants the absolute best for you! If you submit to God and His will you will be blessed way more than you can imagine. After reading The Wait, which I highly recommend, it changed my thought process about having a expectancy spirit. God has some AMAZING things planned for you if you just wait on him. You can only see what is in front of you, God sees the future. I don’t know about you but I would rather go with God’s way since he can see the future. I know in the moment it doesn’t feel great when God says no to your prayers. I’m there right now, but I can say when I focused on God and his promises it made it easier to deal with. I will make it through and you will make it through. We have God on our side so we won’t lose! I would love to hear how you handle it when God says no to you? So this morning I had a post ready to go and it was good y’all. I was ready to post it and BAM, I got the strongest feeling of “Don’t do it.” It was intense y’all! I was like okay this is clearly God stopping me from posting. So I prayed about it and I knew I had no business posting the blog I wrote. I was kind of hurt because I really wanted to get you all’s feedback, but I knew that wasn’t the right way. Instead, I will discuss what I learned about myself in this situation and some tips to help you avoid making the same mistake. 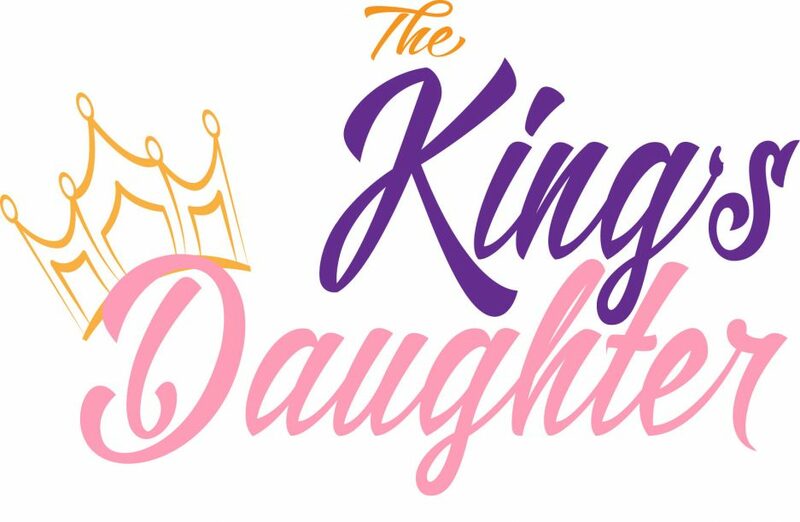 As I prayed for direction when I knew I couldn’t post my original blog, I came across a list I wrote during a seminar about the traits of a godly woman. I started to read the traits over and over and the trait of being sober stuck out. Of all the traits listed it was the one trait I did not exemplify. I react out of emotion more times than not. It was the lesson in all of this, I need to learn to respond soberly. Let’s take a second and define what I mean by sober. Sober in this context is about not allowing your emotions to take over and be the guiding force in how you respond to a situation. In most cases, when you respond in a incoherent state, you look back and you wish you could change what you said or how you said it. Now that we understand what sober is, let’s look at my situation and discuss the power of being sober. The entire time I dated this guy I reacted out of emotion. I would feel a certain way and react on it immediately and within 24 hours, I was back peddling my way out of a situation I helped create or caused to escalate. So on Saturday after seeing him and his date, I was overwhelmed with so many emotions from “Man, he still looks good” to wanting to know where this new girl came from. I responded in the most typical way by sending the infamous “Have a good life” text. I know, I know. That was not the best way to respond, but in the moment, I let my emotions decide how to respond. Luckily my situation did not end horribly, but it could have very easily based off that response. Responding in a sober mindset is powerful. Being able to state how you feel and the reasoning without heightened emotions will allow you think clearly and not make fast, harsh decisions. I’m not saying feelings aren’t valid, but what I am saying is that you can’t make sound decisions off of feelings alone. Think about the last time you reacted when your emotions were at an all-time high. Do you wish things went differently? That you would have reacted differently? So how do you remain sober in the moment? 1. Know that your first response may not be your best response. It’s easy to say the first thing that comes to your mind, but it’s not necessarily always the right thing to say. Sometimes no response is the best response. When you give yourself a moment to process the situation you are better able to make a sound rational response that you won’t later regret. Also, petty responses do not help situations when emotions are high. A practical strategy would be to count to 10 in your head and then respond. This allows you time to actually process what was said or done to you and how you should properly respond. This is the one good thing I did on Saturday. When I was overwhelmed with emotion in the moment, I excused myself from the situation. Walking away is not the same as running from the situation, but a really good tool that allows you to breathe and regain the ability to rationally think. But don’t be like me and walk away, continue to talk about the situation, and then text the person. It defeats the purpose of walking away. I know it may be hard, but it will help you return to a sober state. Walking away might not be something you can do every time but it could also be beneficial to take a mental walk. Respond with a “Can we discuss this in a few minutes?” and start thinking positive thoughts such as scripture or affirmations. I hope these tips will help you the next time you are in a situation where you are heated. Have you been in a situation like mine? How did you respond? If you use these tips let me know if they helped you remain sober! Let’s jump right in on how my interactions with my 4 year old daughter, Kendall, have opened my eyes to better understanding God’s love. When Kendall ask me for something my answer is either yes, no, or not right now. She is still young and doesn’t fully understand why I may say no to her having cookies for breakfast or her not holding my hand while walking through a parking lot. But as her mother my job is to protect her, and I take this job very seriously. So when I do say no she then starts bargaining with me by saying things like ” Can I have just a little?” Other times she jumps to the extreme and says” you aren’t my friend anymore.” Which might be the harshest thing a 4 year old can say to you. My no is not to punish, upset, or sadden her. My answer is for her protection. I can see something she can’t in the moment. I can see the bigger picture. This is the same with God. I can’t even count how many times God has told me no or not right now and my first response is to try to bargain with God or even jumping to the extreme by feeling like God must not love me. I have to remember that God can see the bigger picture. God can foresee the possible danger and consequences I can’t in the moment. Just as I protect Kendall, God is protecting me. Lesson Learned: God’s no, yes, or not right now is for my protection and out of his love for me. Kendall is a very affectionate child, well when she wants to be. She will randomly run up to me and give me a big hug and say thank you for being the best mom. Talk about melting my heart. Hearing her say I’m the best mom can turn my whole day around. And the best part of her saying this to me is that I haven’t done anything special at the moment that would trigger her to say that. That is what God wants for us. For us to acknowledge him for just being him, not just when he answers a prayer the way we want him to. Its so easy to get caught up in day to day life, but always make time to say thank you for being God and leading my life. We serve a God who loves to her our praises. He wants to know that we are thankful for all he does for us on the daily. Lesson Learned: Sometimes all we need to say is thank you. Everyday I spend quality one on one time with Kendall. Its something important to both of us. I’ve made a habit of this that now she even request this time. Its not something she pushes off or is too busy playing with her toys or tablet to do. During this quality time, like with any relationship, I have learned what she likes, dislikes, we talk about school and her friends. Due to this quality time me and Kendall have such a close bond. And then one day it hit me, God wants this same uninterrupted time with me. I live a very busy life like most people I know. Most days I’m just plain tired after fighting traffic, work, and taking care of Kendall. Doing anything that will require me to have less sleep is the last thing on my mind. This really should not be my attitude when it comes to spending time with God. So I tried to have my quality time with God while I’m driving. Which isn’t always the best because some days I’m blowing my horn at a driver in the middle of prayer. While this may work for some this was not the best for me. I felt God deserved my undivided attention and that’s hard to do while driving. So recently I’ve been walking up 15/20 minutes earlier to have time with God. Its a real struggle to wake up, but so worth it. God craves to spend time with us and after all that he has done for us spending uninterrupted time with him daily is the least we can do. Lesson Learned: Spending quality time with God allows us to build an unbreakable bond. There is nothing like a cranky child that will not lay down for a nap, I know all my mothers understand this. You try to do anything to get your child to lay down and take a nap. I tell Kendall all the time you will feel better once you have taken a nap, because you need rest. Kendall sometimes sees taking a nap as punishment because she wants to continue to play or watch TV. I have to explain to her that naps are important and not a punishment. God is the same way with us. As our father he knows that sometimes we just need some rest so we can get back up and be our best. As much as we might fight the time of rest, we have to know God knows what’s best for us. And just like with Kendall after a period of rest I’m better than I was before. Lesson Learned: God telling you to rest is necessary for you to be your best. You are God’s child and he wants the absolute best for you. Even when we don’t understand where we are in life or the path we are taking, just know God can see the bigger the picture and he would never lead you astray. Always remember that God loves you and everything is working for your good. I know it’s not Monday but I had to share this song with you! This song was sent to me by mom and best friend and it really touched my soul. Plus it goes with my post from yesterday, I have to do WHAT?! So, take a minute and listen to this song and if you haven’t read my post on forgiveness. Has God ever told you that you needed to do something and it was the complete opposite of what you wanted to do? Well this has been a recurring theme in my life the last year. Recently I was involved in a situation where I was extremely hurt by someone that I care about. With out putting all their business on the internet here is the short version of the situation. They started dating someone that was connected mutually to us. The issue wasn’t that they were dating, but who. When I found out I was completely shocked and hurt. These feelings took me back to several years ago when me and this person was dating. As I was sitting in my bed replaying our time together it hit me like a ton of bricks that I had never truly forgiven this person or forgiven myself for the things done in this relationship. I told myself so many times that I had forgiven them and myself. I said those words but I did not mean them. When you truly forgive someone you may not forget what was done but you don’t let the thought of it cause you to react. I reacted every time I thought about the past. How could I move forward and I had not forgiven and let go of the past. God placed in my spirit to forgive them in that moment. Forgive them and move forward. But I couldn’t, I was hurt. God why do I have to forgive someone who hasn’t even asked for my forgiveness or even thinks they were wrong? At this moment I wanted to let the person know all they did in the past 5 years that hurt me. (Honest moment: That is exactly what I did. God is still working on me lol.) I felt they owed me for the pain they caused. After releasing my feelings in that moment I felt horrible. I wanted to take back most of what I said to them over the last 24 hours. But I couldn’t. So here I am asking them to forgive me for what I had done to hurt them but I couldn’t forgive them? How does that work? I decided that it was time to truly forgive. I was tired of going through the same cycle with my ex. I was tired of going around the mountain and not passing this forgiveness test. I decided in that moment that I had to truly forgive. I could not see myself going through all I had just experienced for the rest of my life since we share a child together. Forgiving someone who you interact with on the regular basis is one of the most difficult things I’ve done. In all honesty I normally just cut people off when I’m hurt by them and then it becomes out of sight out of mind. But in this situation I have to practice that forgiveness is a choice and every time we interact I remind myself of that choice. I wouldn’t want God to not forgive me for the wrong I’ve done. So as a Christian who is desiring to be more like Christ I had to realize forgiving him was actually blessing me. True forgiveness is something new for me as I am still a work in progress, but I am very grateful for the growth.